Turns out I haven't written a blog post in a month and a half. Whoops. First of all, THUNDER UP. I've been following along and although I was pretty nervous at times, they pulled through and I couldn't be happier. If this Clippers series is equally suspenseful I'll be HOME for game 7. London rocks and getting to see Wicked was the highlight. Spring Break 2014 was one for the books. You can see a lot of places in two weeks. My mom, dad and brother came for the first half and we explored Belgium, The Netherlands and Germany together. One of our favorite moments was riding bikes from Northern Belgium to The Netherlands. It's important to balance a whole lot of Belgian beer drinking with a little physical activity. My mom will forever be the greatest trip planner. 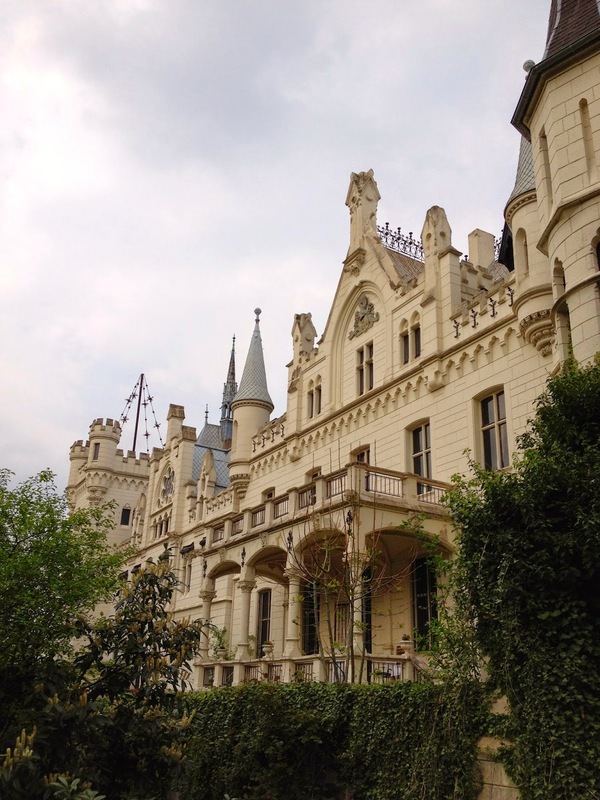 We stayed the night in this castle in Germany thanks to her. It was wonderful to share my study abroad experience with my family (I think that's the longest we've ever been apart) and it will be great to see them again in a couple of weeks for pool time in Norman. Next up was Italy (Rome, Arezzo, Florence) and Barcelona with friends. I got to see high school friends, a sorority sister and Pope Francis (from afar) in Italy. So much fun! We spent Easter weekend in Barcelona and attended an Easter mass in Catalan. That was a bit of challenge, but still an interesting experience. Hallelujah is universal though, so we made it work. My college spring breaks have been drastically different. Trip to Florida freshman year, nursing my mom back to health after her ski accident sophomore year and a European adventure this year. I'm sure next year will be something entirely different too. I spent last weekend in The Netherlands with my study abroad program. It was King's Day which meant lots of orange and lots of proud Dutch people ready to party. We also rode bikes on this trip, saw the tulip fields, enjoyed an incredible sunset at the North Sea and visited the Peace Palace in The Hague. It's the final countdown now. Just 13 days until I am home sweet home. It's crazy how quickly this semester has flown by. My dad always says it's great to go on trips, but it's also great to come home. He's right because even though I know I'll miss it here, I'm ready for a cheesy airport reunion, chips and queso and the familiarity of home.